FORMWELT is here and today to language and information technology what 2.000 years ago Euclid’s Elements were to geometry in particular and to mathematics in general, with the difference that Euclid can be modelled in FORMWELT and would occupy only a small niche therein. Using the FORMWELT kernel you can say what can be said clearly and do what can be done oriented by a meaningful description. FORMWELT doesn’t produce verbal mumbo-jumbo, it always provides exits to empirical or practical or mental experience: so that you can understand what you say, do what you say and see, feel, hear, taste or smell the results of your descriptions. How can this work, you ask? - Well, imagine what a clear and uncomplicated mind can conceive and accomplish. Language is based on distinction and decision, decision over decision produces structure, structure sorts experience, describes yourself and the other, helps to construct new experiences, to find data, to generate information and ideas, to check your models and your view of the world for practicability, consistency and effectiveness. To experience using an injunction means to learn by contingency and to find diverse functionally equivalent ways to realize the injunction. FORMWELT provides a language that can be spoken just as conventional language. As a matter of fact it builds on the language we speak every day and improves on it, as every user can improve on it further. FORMWELT is not an artificially constructed hybrid language. 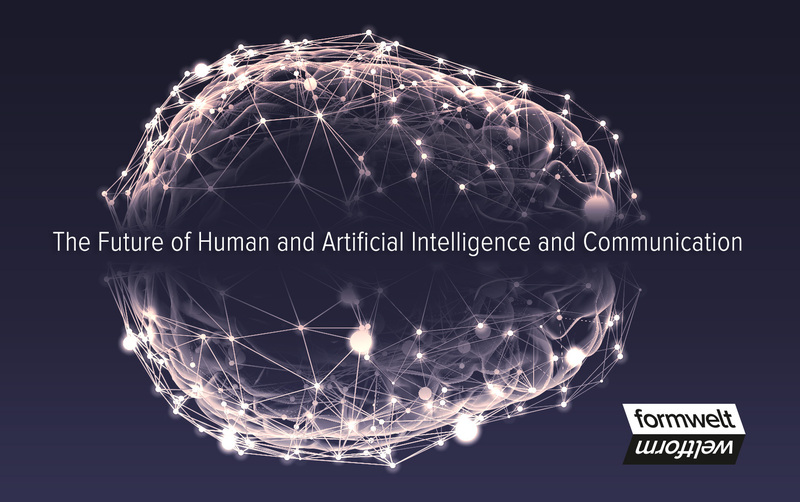 FORMWELT is spoken in the existing languages of our world, but the results of interactions based on language programmed by FORMWELT will be better coordinated, less prone to misunderstanding and failure, more precise and much more in accord to the plans of the individuals who use it to realize their plans. As a creative tool FORMWELT opens up new ways of self-description, perception, action and conceptualizing your view of the world and the universe and especially your view of the living beings you are sharing this planet with. The kernel consists of references, each reference is a rather short relation of words: a label pointing to its referent, which is (for the most part) built of labels pointing to their referents. Selfsufficiency of the kernel means that it only uses words which are either referenced within the kernel or can be understood by most simple and common cognitive or practical concepts. The references within the kernel of FORMWELT are organized in modules. Each module provides you with the tools to perform a specific and most basic cognitive or analytical or operative function. The understanding of and the capability to use FORMWELT does not spring from learning single references by heart but it grows by utilizing the parts of its reference system which are in your actual situation helpful to understand and express yourself. We suppose 40 % or more of the kernel could be understood by a child under the age of 12, the rest he or she should be able to comprehend during the following 6 years of their life. Although it might be that some concepts stay out of his/her cognitive reach. If so it should not pose to much of a difficulty because the parts of FORMWELT she/he can manage will work anyway. The real power of FORMWELT unfolds by putting the kernel to use in your mind and in your communication with others: You will be able to describe the complexity of the world precisely. You will be able to develop new and meaningful concepts. Using the kernel you can develop own or consensual reference systems to describe new PERSPECTIVES, thus program your own language and in teamwork with others your project specific language.